Graph Expo 2014 Exhibit Hall. 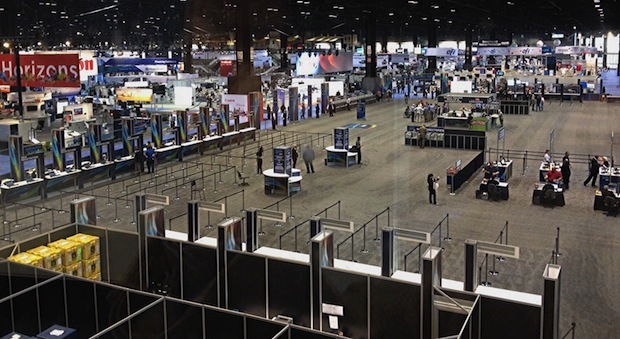 It took some getting used to: the disconcertingly empty stretch in the South Hall of McCormick Place, filled in years past with stands and equipment, that visitors to Graph Expo 2014 had to cross before they could enter this year’s edition of the show. With about 420 exhibitors, Graph Expo 2014 was a smallish industrial trade fair, its reduced size reflecting the consolidation, contraction, and change that continue to roil many segments of the graphic equipment markets that the event serves and represents. Once over the threshold, however, visitors could see right away that a tighter perimeter didn’t mean a leaner learning experience for those seeking the latest developments in graphic machinery, software, services, and supplies. This was especially true for visitors investigating label and packaging solutions at Graph Expo, which helpfully concentrated these assets for them in a co-located event, the Converting and Package Printing Expo (CPP). 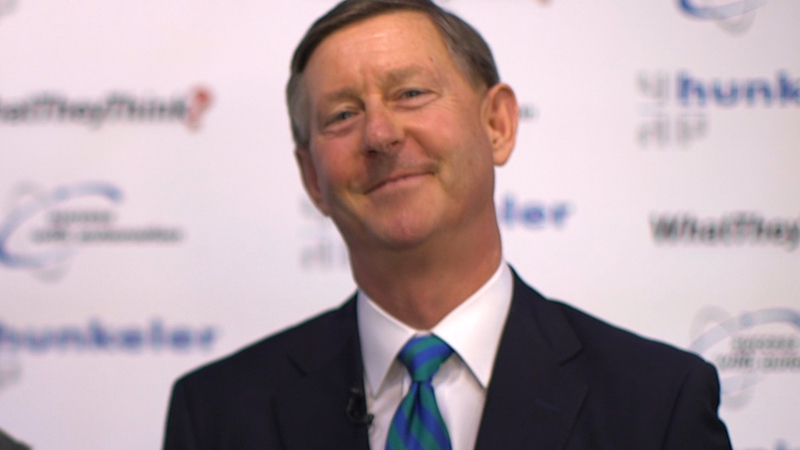 Graph Expo/CPP 2014 opened in Chicago just days after another label- and packaging-focused event, Labelexpo Americas 2014, closed out its most successful edition to date in nearby Rosemont, IL. The two shows drew their vitality from the underlying strength of the end-user market for packaging, which NPES, the print equipment manufacturers’ trade group, forecasts to reach $288 billion worldwide by 2017—an estimated 43% of all print product sales. In the U.S., says NPES, sales of packaging print will have risen from $8.7 billion to $12.7 billion in the five-year period from 2012-2017. A rising demand for labels and packaging drives a corresponding surge in the need for production systems that can turn out these items quickly, attractively, and above all, cost efficiently. In this series of reports, we’ll look at several cross-sections of package- and label-making solutions that address market and manufacturing requirements in innovative ways. 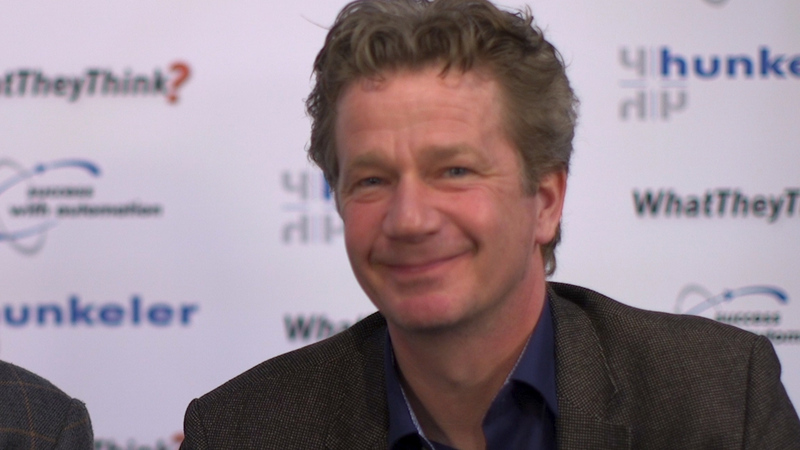 We’ll also report what we heard at the show about vendor partnerships aimed at bringing new solutions to market in the run-up to the label and packaging segment’s next major international event, drupa 2016. Beginning the coverage with analog press production acknowledges the fact that the overwhelming majority of package and label manufacturing still takes place on offset and flexographic equipment. Despite the publicity surrounding it, digital package and label printing has barely begun to chip away at the conventional processes’ share. 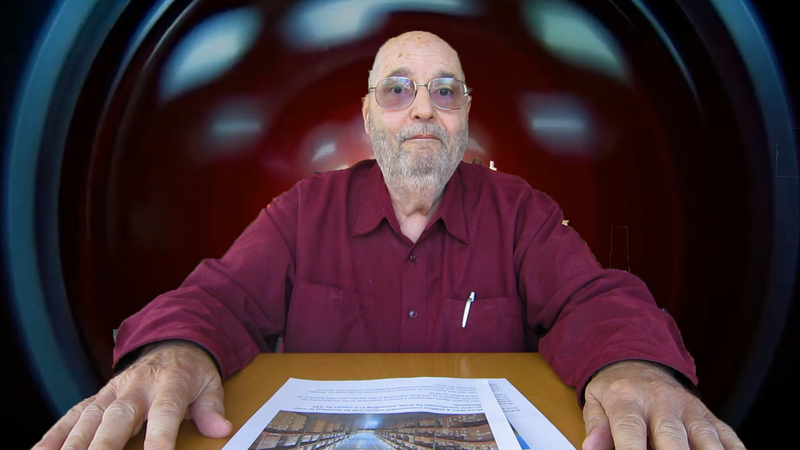 The research group Smithers Pira, for example, has said that even with a compound annual growth rate of better than 20%, digital production will represent just over 1% of printed packaging volume in 2016—a tribute both to the staying power of the conventional methods and to the enormous opportunity that makers of digital printing systems believe they have ahead of them. Graph Expo, however, is not the showcase for conventional production that it once was. 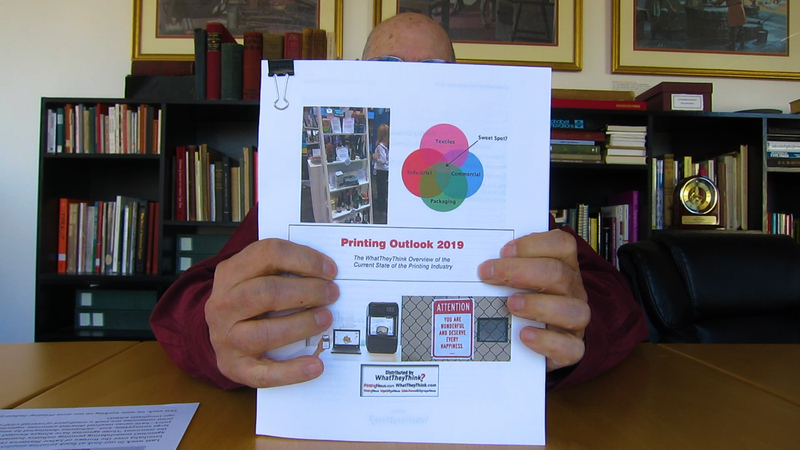 Mostly for reasons of cost, the offset press manufacturers that used to be its mainstay exhibitors have either downscaled their show footprints or opted out of participating altogether. But, those who remain still have compelling stories to tell about advancements in the packaging and labeling systems they have brought to market. The no-shows are making progress of their own on the same fronts. In Chicago last week, Graph Expo/CPP visitors found ample evidence as to why conventional production continues to hold sway in the label and packaging segment. One offset press manufacturer, Ryobi-MHI, was at the center of what looked and felt like a retro Graph Expo exhibit with a five unit, A1-format (36.22" x 25.20") litho machine: the Ryobi-MHI 925 LED-UV press, the only platform of its size and configuration at the show. This press, demonstrated hourly throughout Graph Expo, isn’t specifically for packaging, but the manufacturer and its U.S. distributor, Graphic Systems North America (GSNA), had plenty to say about a different model that is: the Ryobi-MHI 750G Packaging Edition press, aimed at commercial printers entering or expanding in package printing. A six-up, 16,000-sph, 31" press that can handle stocks up to 31-point board, the 750G has an LED UV curing system for quick drying and post-processing. Available in up to eight colors, the press also can be equipped with cast-and-cure foiling for special effects such as holograms and security features. Multiple spot colors, chemical embossing, and white ink overprint are possible on a wide range of packaging substrates including synthetics, according to the manufacturer. 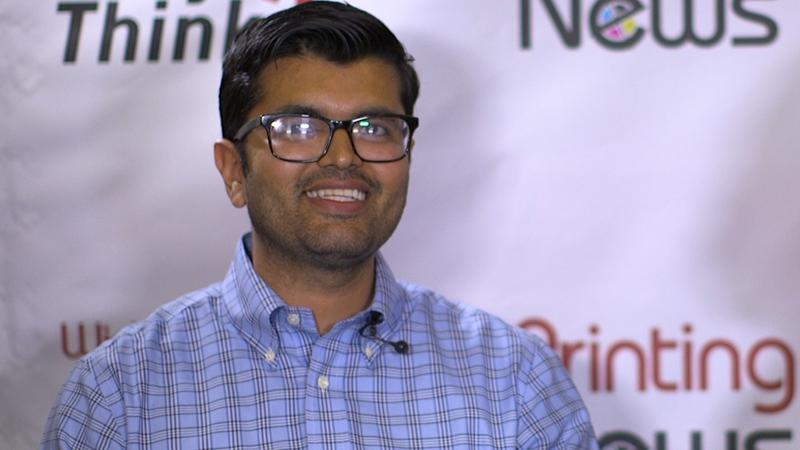 GSNA, a network of six print equipment dealers in the U.S. and Canada, wants printers to think about making plates for their Ryobi presses on systems from Cron CTP, which displayed equipment at the Ryobi-MHI/GSNA stand during the show. The largest manufacturer of CTP units in China, Cron CTP offers thermal and UV systems in a variety of commercial and newspaper formats. Cron CTP, part of Hangzhou CRON Machinery & Electronics Co., Ltd, recently announced its entry into the North American market through a joint venture with ECRM Imaging Systems, a Massachusetts-based prepress equipment manufacturer with more than 5,000 CTP installations around the world. Large-format sheetfed offset presses are widely used for package printing, and KBA North America likes to assert its credentials in packaging by pointing out that it has supplied half of all the large-format presses in the U.S. At Graph Expo, KBA highlighted recent sales of various large-format models of its Rapida press series to packaging customers All Packaging Company, Sonderen Packaging, K-1 Packaging Group, and Ingersoll Paper Box. KBA also noted the installation of a Flexotecnica EvoXD 10-color flexographic press at Signature Flexible Packaging, a producer in that category since 1954. The press is made by Flexotecnica, an Italian manufacturer that KBA acquired last year and for which it is the exclusive U.S. distributor. Goss International has been manufacturing web offset presses for commercial printing and newspaper production for many years. The company added high-quality printing to web offset’s high-speed performance by introducing the gapless-blanket “Sunday” press configuration in 1993. At drupa 2012, Goss announced its intention to adapt Sunday technology for packaging printing in the form of the Goss Sunday Vpak series, promoted by the company along with its commercial, book, and newspaper equipment ay Graph Expo 2014. With the VPak platform, Goss hopes to make converts of flexo, gravure, and sheetfed packaging printers looking for lower costs and faster turnarounds at comparable levels of print quality. Sunday web offset production, says the manufacturer, outdoes these processes in plate economy, substrate flexibility, and high-volume production efficiency—along with the ability to match critical colors, hold screens finer than 200 lpi, and handle stochastic imaging in folding carton, flexible packaging, and label printing applications. Two models, Sunday Vpak 3000 (with 75”, 64, 55”, and 44” web widths) and Sunday Vpak 500 (20.5”, 33.5”, 41.4”), feature quick-change, variable cylinder sleeve adapters that match cylinder circumference to the required repeat length for each job. The 1,500-fpm presses can be configured with as many printing units as desired and equipped with Goss and third-party options for coating, hot-air drying, UV/EB curing, inline inkjetting, and more. To date, Goss has installed four Sunday Vpak presses including one at Precision Press, a label, flexible packaging, and forms producer, and one at a packaging technology center opened by Goss earlier this year at its Durham, NH headquarters. During Graph Expo, the company announced a partnership with software provider Alwan Color Expertise to develop a package of solutions aimed at assuring repeatable color accuracy on Sunday Vpak presses, including on-press color matching, press calibration, print proofing, and verification. 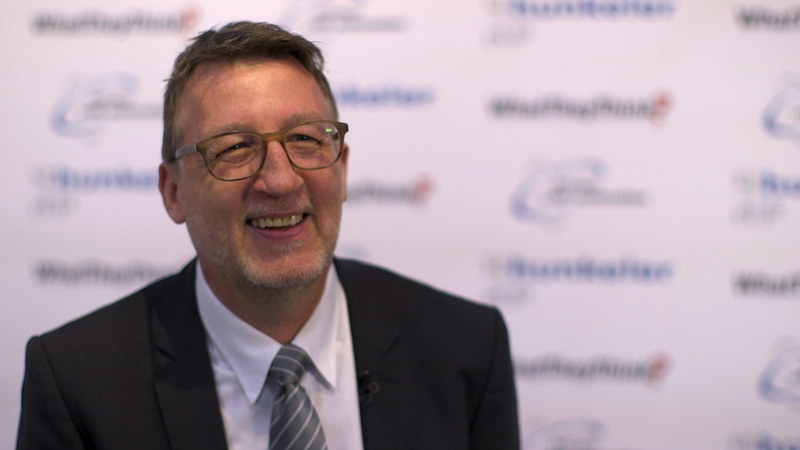 Muller Martini emphasized digital finishing in its presentations at Graph Expo, but it was equally prepared to talk about a package printing solution it also had highlighted at Labelexpo: the Variable Offset Sleeve Printing (VSOP) press, made for variable-size web offset production of labels, flexible packaging, and cardboard. Using a static replica of a VSOP printing tower, the company demonstrated the press system’s quick-change cylinder sleeves for infinitely variable print image lengths. Sizes can be changed in two minutes per printing unit, according to the manufacturer. The VSOP press is available in two web widths: 8"-20.5" (VSOP 520) and 17"-33.5" (VSOP 850). Both models can run coated and uncoated paper, film, and cardboard in a wide range of thicknesses at speeds up to 1,200 fpm. The presses can be hybridized with inline flexo, screen, gravure, and digital printing as well as finishing options for foil stamping, laminating, punching, and sheeting. 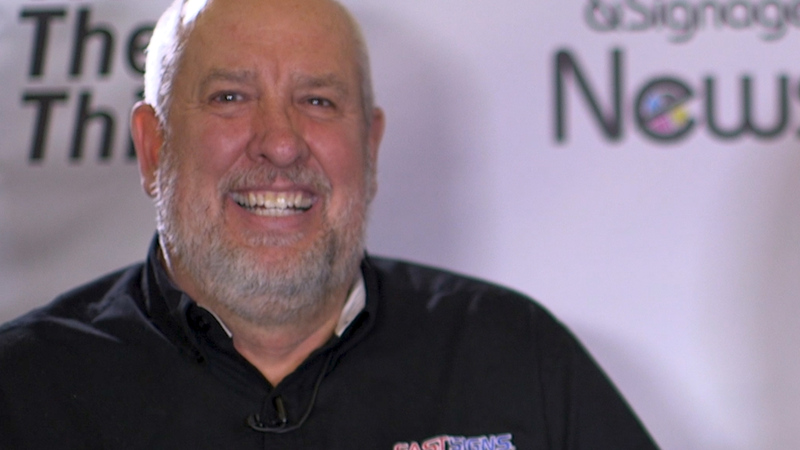 Conventional packaging solutions promoted by Mark Andy at Graph Expo included its Performance Series and Versa Max narrow-to-mid-web flexographic presses, all designed for fast job changeovers and other cost-reducing efficiencies in short runs. The presentation was a coda to the company’s successful showing at Labelexpo, where it showcased its full range of solutions for the narrow web label and packaging markets. Next: digital presses for labels and packaging promoted at Graph Expo.